Over the weekend weve had bad storms here in Kansas. A small town of 1400 people was basically wiped off the map with a mile wide tornado on Friday night. We had lots of rain... our area is in a dangerous flood warning. I realized life is so precious and we all need to live each day to it's fullest. None of us really know how much longer we have on this earth. I had just found out a business partner I talked to about changing to a healther lifestyle 2 years ago is dying of cancer. 2 years ago I was unable to get through to him that prevention and health was key to a long healthy life. I'm sad for this person, but at the same time I know I did everything I could have done. Then the tornado comes sweeping in and killing and wrecking peoples lives. Kind a makes me sit back and think a little. Have you ever heard the song by Tim McGraw Live each day like you were dying? After 911, I started doing just that. I changed my outlook on life and this was the turning point in my business. I decided no matter what I was going to make my business work. Are you at a point in your business that it gets put on the back burner sometimes? What will it take for you to decide just to go for it? Do you have to wait for a life changing event or will you take you business in your own hands and just do it.! I think back to when we were in high school. We thought we could tackle the world... it's that no fear attitude, we wouldn't think of the conquences we would just go for it. The excitement of the journey is so great you don't worry about the how's. It's that kind of attitude that makes a successful business. 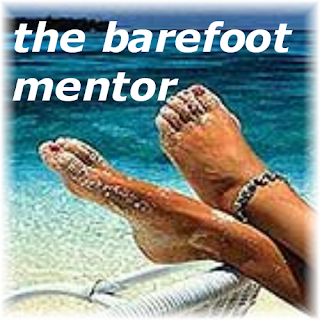 I've been talking about our Barefoot Marketing System quite a bit on this blog. Wether this is the right direction for you to take your business that's up to you... it's your decision. All I can say for me it was the right thing to do. My question to you today... how bad do you want to be successful in your business?